If you want more evidence about the extraordinary nature of the people of the Wenatchee Valley, look no further than the successful campaign of the Pybus Public Market Foundation and staff in raising more than $500,000 to pay for the remodel of the newly named LocalTel Event Center. 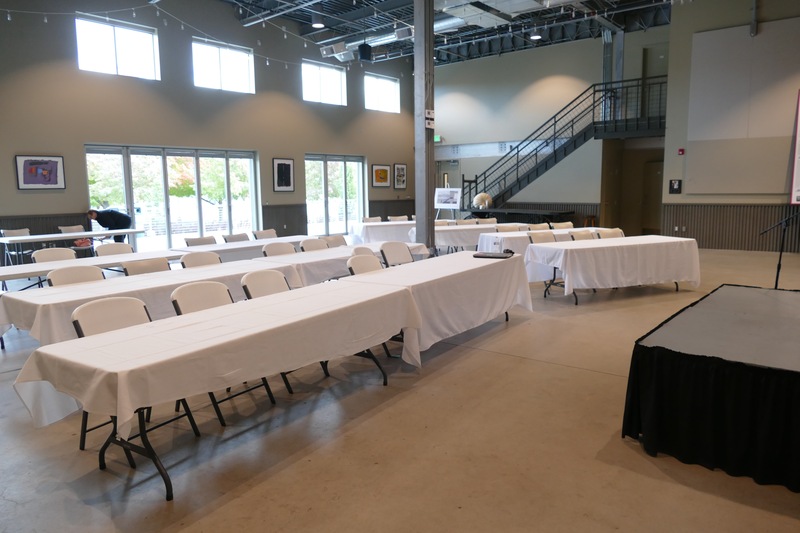 There will be a public celebration at the market from 10 a.m. to 2 p.m. on Saturday, Oct. 6, to formally dedicate the space, which was transformed from a rough, concrete-block bunker into an open concept with lots of windows, an additional conference room and a business incubator space. The total cost of the remodel was $1.3 million, and the $500,000 public portion was raised in just eight months. This was accomplished without the foundation hiring a consult, paid fundraiser or even a feasibility study. Pybus staff and foundation board members ran the entire fundraising campaign. About 280 donors came forward to fund the effort. This remarkable accomplishment speaks volumes about how Pybus Public Market is perceived in the community. There is an indelible sense of ownership by the community in this wonderful asset that has become one of the valley’s crown jewels. I think it’s fair to say that Pybus is the first place that locals bring out-of-town visitors as a way of showing off what a remarkable valley this is. The market was established with the vision of creating a public square where people gather, celebrate, learn and dream. The singer/songwriter and author Dar Williams, who is in the valley this week hosting workshops on community resilience, describes the importance of “positive proximity” in successful communities — places, events and projects that bring people together. Pybus certainly fills that bill. The story of Pybus is the story of Wenatchee — a collaborative effort driven by two outstanding philanthropists in Mike and JoAnn Walker with the purpose of enhancing the quality of life in the valley for generations to come. People who live here care about their community and their neighbors. The philosophy of public philanthropy is embedded deep here. People in this valley are generous when they see an opportunity to make a difference for future generations. This was an unusual project in other ways. Typically, construction doesn’t start until the funds are raised. But the foundation decided to buck conventional thinking by starting construction and trusted that the community would respond. Golly, that turned out to be a brilliant move. The outpouring of support for this homegrown campaign to raise $500,000 shows that the Walkers and the Pybus foundation have succeeded in creating the strong community connection. I so appreciate the Walkers for wanting this to be a community asset and investing millions of dollars to help make this market a reality, in collaboration with the City of Wenatchee and the Port of Chelan County. We live in tumultuous times in this country, but let us never forget the importance of working together to make our communities better. Regardless of what happens in the craziness of Washington D.C. and Olympia, we have established a tradition in this valley of collaboration, cooperation and vision. That same community spirit built Mission Ridge Ski and Board Resort, the Numerica Performing Arts Center, Rocky Reach Dam, the Wenatchee Foothills project, and so many more. That same spirit is driving support for the Kiwanis Methow Park renovation. Working together, there’s nothing we cannot accomplish. That’s what I love about this place.